The only thing matter to us is Humanity, and stop this genocide and killing so we should raise our voice with all supporting the cause. Its not about who is who but its about us. What we are doing is more important than what others doing. We have to answer for us and they have for them. Kindly do your part well and being a good being and good Muslim we should left all to ALLAH as ALLAH knows the best and ALLAH is all knowledge and information. ALLAH is start and ALLAH is end. and Honestly our struggle starts from us for Humanity and all good causes. Dear all brothers and sisters let us not worry who is who and what is what. Raise your voice or send a boat or rescue the people by any means possibles. If few are sleeping or few our short of resources You can at-least raise your voices as there is a very clear line between right and wrong and distinction and difference. So Please raise your voice so other day someone can raise for you or us. Its not about USA or UN but its about Humanity. If we saved one Human-being we will save all humanity. Rohingya Muslims from the state of Arakan in Burma. Since October 21, organized mobs of Rakhine Buddhist extremist headed by fanatic monks declare campaign to wipe out ethnic Rohingya Muslim from their ancestral land of Minbya, Mrauk-U, Pauktaw, kyaukphy and other part of Burma.The local, state and national government of U Thein Sein are supporting crime against humanity to achieve their dream of Muslim free Arakan and Burma. Many innocent Rohingya Muslim lives and properties in danger due to systematic preplanned process of ethnic cleansing in Arakan Burma. United States and World and all Muslims have moral responsibility to save the lives of innocent people from the inhumane cruelty by the majority Buddhist towards minority Rohingya.United States must send clear signal to Buddhist religious extremist as well as government that USA will never tolerate ethnic cleansing and genocide in Burma. USA must initiate sending UN peace keeping forces since Majority of Buddhist population and President of Burma are openly asking to expel Rohingya minority out of their ancestral land of Arakan Burma. Without international peace keeping force, more than 1.5 million Rohingya population will be extinct very soon due to mob attack, starvation, physical, psychological, emotional suffering from various kinds of abuses by security forces. It is heading to civil war in Myanmar. I support only peaceful ways and measures, and more likely by the UN, like the UNHCR, not U.S. separately. This must not be misused for the Western interests. because myanmar goverment and rakhine goverment are state terrorism.please peace loving people around world save myanmar muslims from massacre. por la cruel injusticia que viola los derechos y sostiene los silencios..
its a matter of muslims being harassed. Killing a human being is killing of all humanity. So have dare to speak against the oppressor is sign of faith. so speak on all floors and Truth have to win and light have to come. Humanity, Atrocities and bloodshed should be stop immediately against Muslims. United terrorist states of america behind all of these crimes. İts obvipus from their censored media. Not US but UN must take action against it. US is perpetrator of this crime. US gave green light for massacre after normalizing ties with Myanmar gov. Everyone has right to live and to hold their religion according to what they believe. No one can take peoples' right. 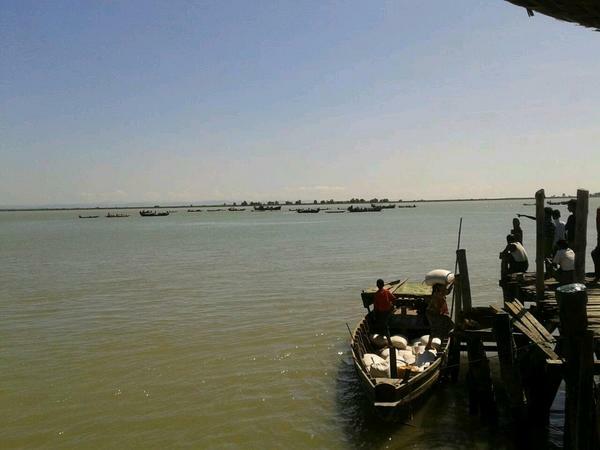 Deadly massacres and signs of genocide that is committed against the Rohingya ethnic in Burma. INITIATE SENDING UN PEACE KEEPING FORCE! Killing 100 people in one day is not humanity ! When you can speak against terrorism than why #UN #USA is silent here? You should speak about 'INNOCENT' people who are getting killed. Because I'm an Rohingya. 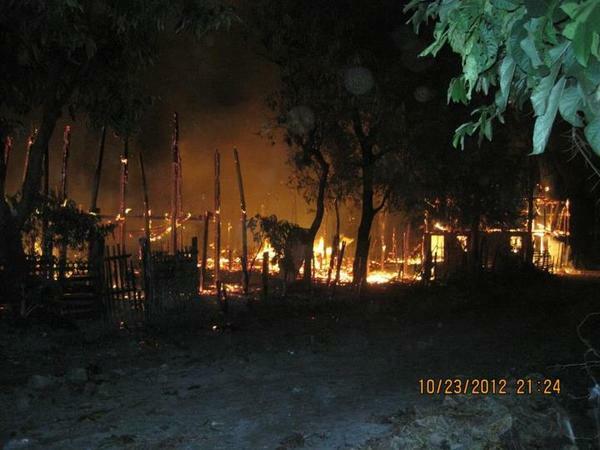 Brmeses gov and Rakhine are killing and burnning Rohingya's villages. stop mass killing. UN should immediate peace keeping troops. "Never again" has to mean something. urgent need un force to save rohingya. Help the Rohingya, save the Rohingya, please, please, please. Please send UN forces to Arakan to save Rohingya. i need urgent UN Security force to send in Arakan state to save Rohingya Muslim. 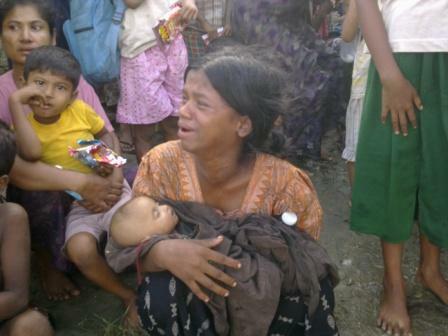 Urgent help our Rohingya Muslims , please. We are humans. Save us . Because I'm Rohingya as well as human.The only reason for such ethnic cleaning on Rohingya is "We are Muslims" . We almost ran out of our voices by asking help. 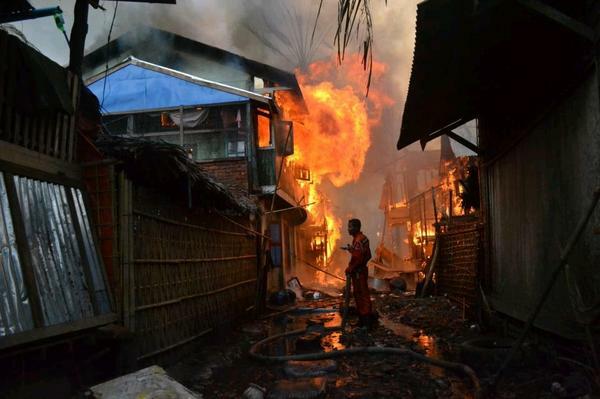 If no action was taken to stop this ethnic cleansing, all our people would have disappeared from Arakan sooner or later. Because I'm rohingya as well as human. We almost ran out of our voices by asking help. 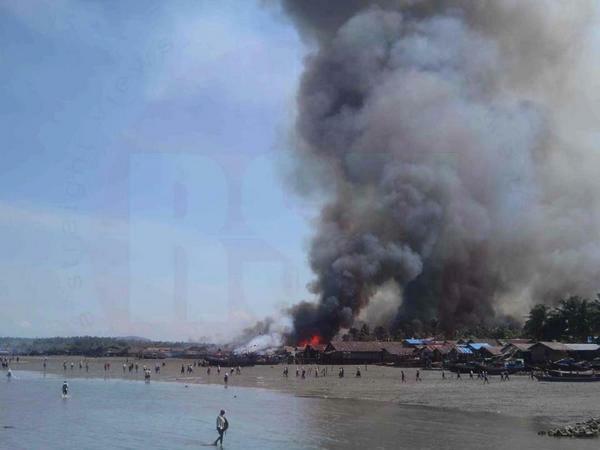 If no action was taken to stop this ethnic cleansing, all our people would have disappeared from Arakan sooner or later. Human Rights is for everyone in everywhere. Such inhumane cruelty must not be tolerated! In 21st century State Organized ethnic cleansing must not be tolerated! UN says Rohingya the most persecuted group on this Earth! President Thein Sein said " Rohingya must be excluded or put in the camp under the coaching of UNHCR. Is this not enough evidence to stop Burmese authorities from Cleansing/Genociding an ethnic group? The question is who will take this step? A> Only US together with EU. Every human-being has obligation to stop this cruelty, but not everyone has the same power. Thus, the world leading countries in all, particularly in Human Rights; United State of America and The European Union can stop, should stop and must stop for the sake of the word "Human Rights". Otherwise the USA and EU made "Word" "Human Rights" will regret forever. Government is responsible for protecting rights of minority in any country. In case of Burma, Rohingya are being prosecuted and driven away from their home while Burmese government stands by idly, which is unacceptable. to save Rohingya's life and properties! Ethics live with respect to the rightness and wrongness of the choices humans make. this people are living 1000 of year they should live with respect. The Burma military regime has gone too far already. We must do whatever we can to stop the extremely horrendous human rights crimes against the Rohingya who are helpless victims of the barbaric Burmese government and the wild Rakine nationalistic extremists. As they are human beings. 3000 homes burnt to ground. 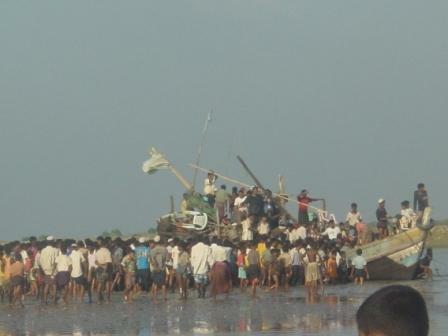 100 corpses floating after boat overturned just one 13 year old escaped. 1300 stuck on river bank got just a few hours to escape or be killed.